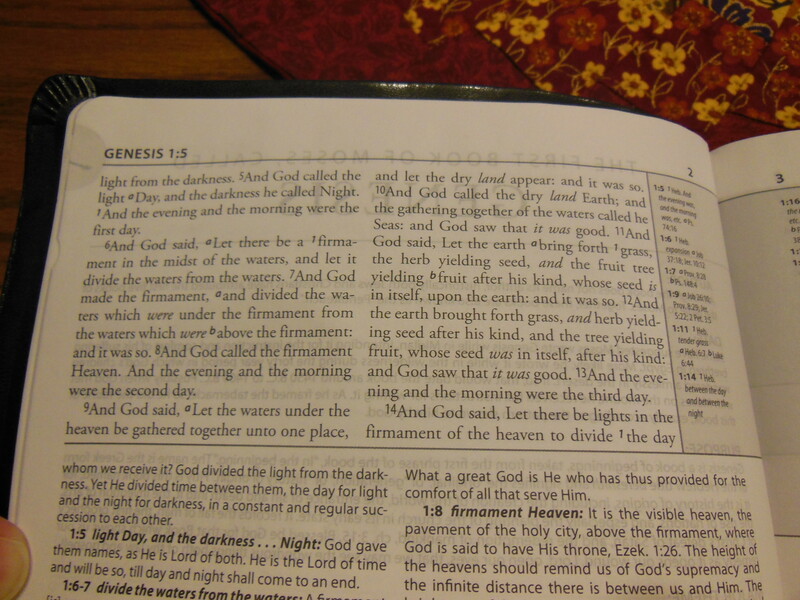 Review of the Matthew Henry Study Bible in black flexisoft synthetic leather. 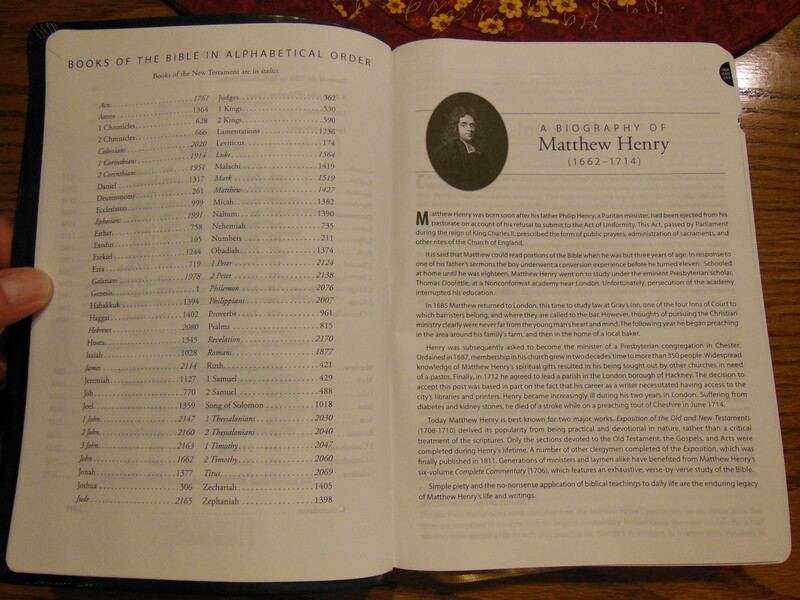 I received the Matthew Henry Study Bible gratis from Hendrickson for honest review. 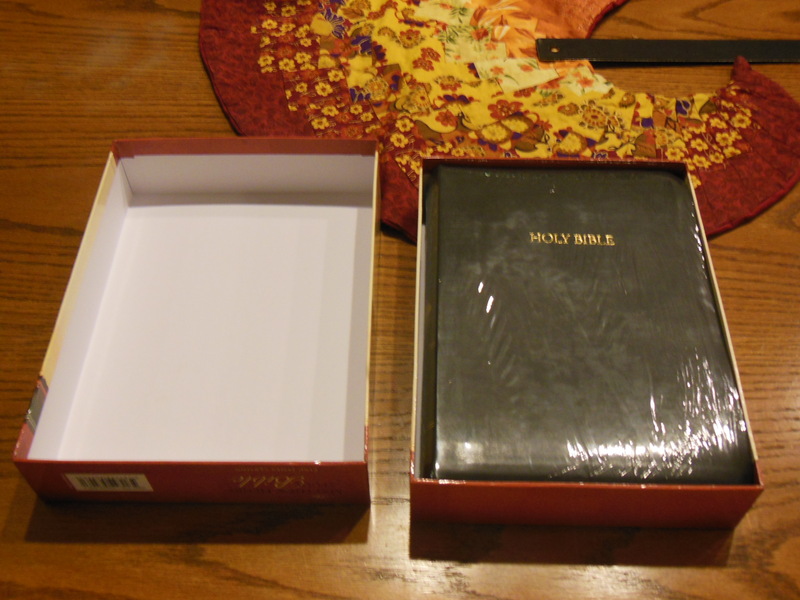 Despite Hendrickson’s fine job of packaging their Bibles for shipping, this one arrived damaged. 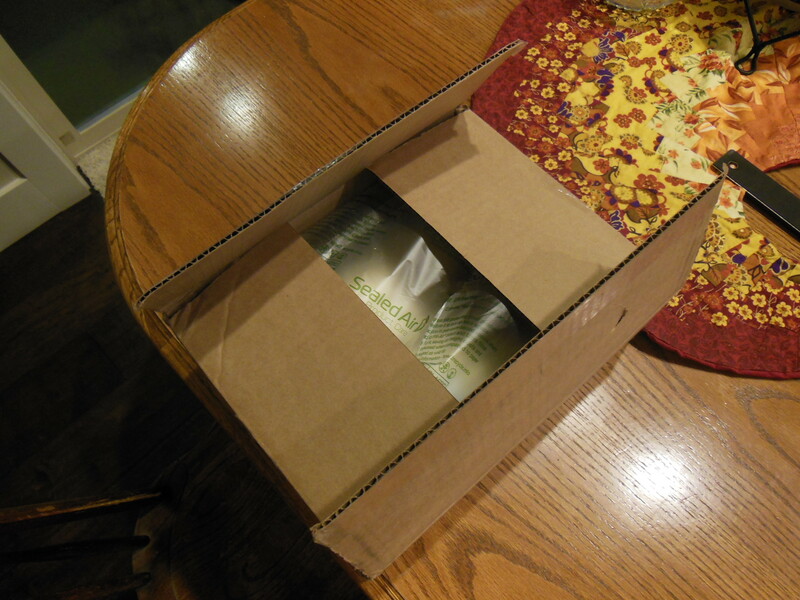 The two piece retail box was packed inside a cardboard box with air bag type packing material. 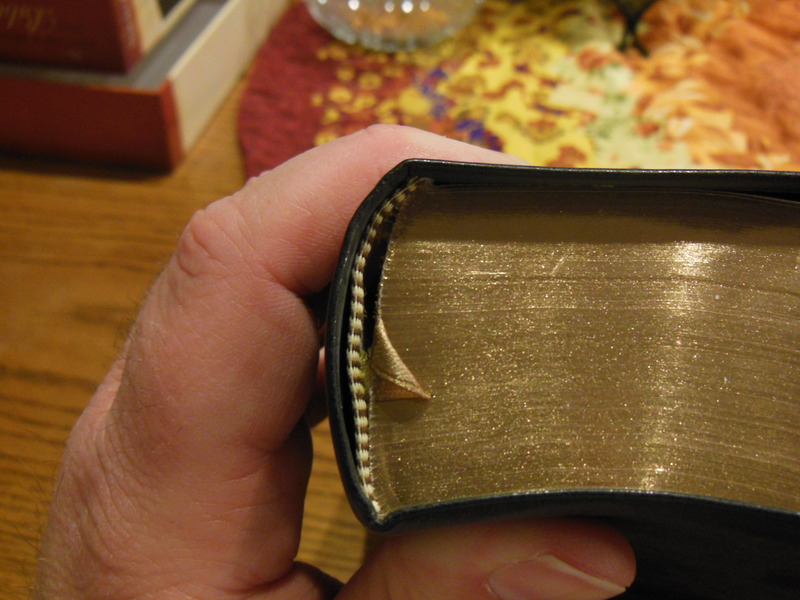 I noticed the damage upon opening the Bible. The material that joins the cover to the text block was torn along the hinge at the bottom. The tear is about 1 1/2 inches long. I suspect it was due to the size and weight of the MHSB. I think it is too heavy for the cheaper materials it is made from. That in conjunction with being shipped from China where it was made could also be responsible for the damage. I contacted Hendrickson about the damage and asked about getting a different copy to review. They wanted me to go ahead with the review of the damaged Bible. I can definitely understand that. It gets expensive sending out free review copies. 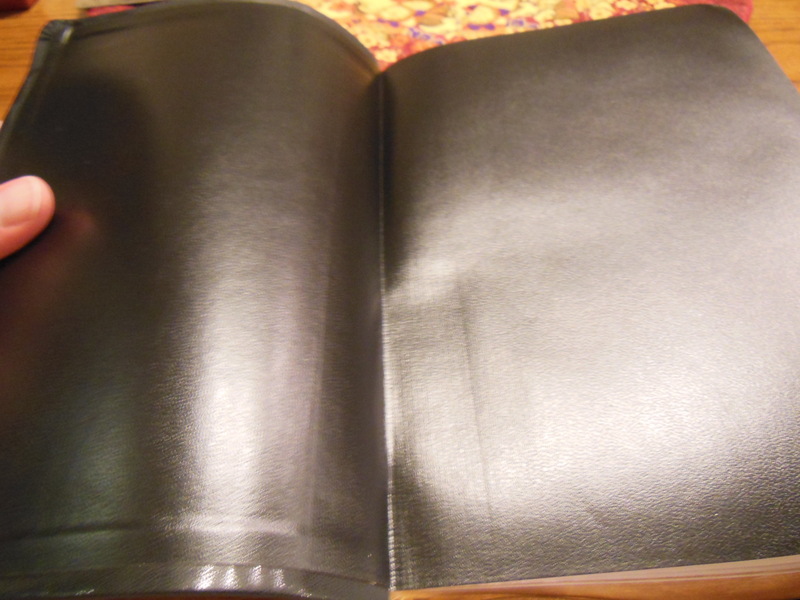 The cover material is very rubbery looking and feeling. 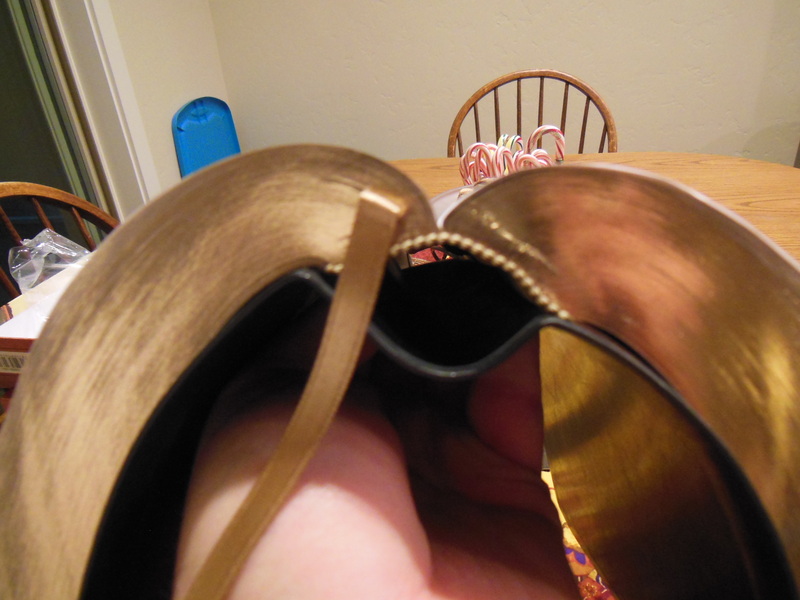 The head and foot bands did not stay glued down. There is a gold colored ribbon marker. There is a presentation page and then an article about Matthew Henry. The paper is a 30 gsm weight. The print does not seem dark or bold enough. If the paper were whiter, the text would have more contrast against it. The words of Christ are in read. Since the paper isn’t as bright, the red font doesn’t contrast well either. This also is hard on the eyes. The font is 10 point Garamond Pro. 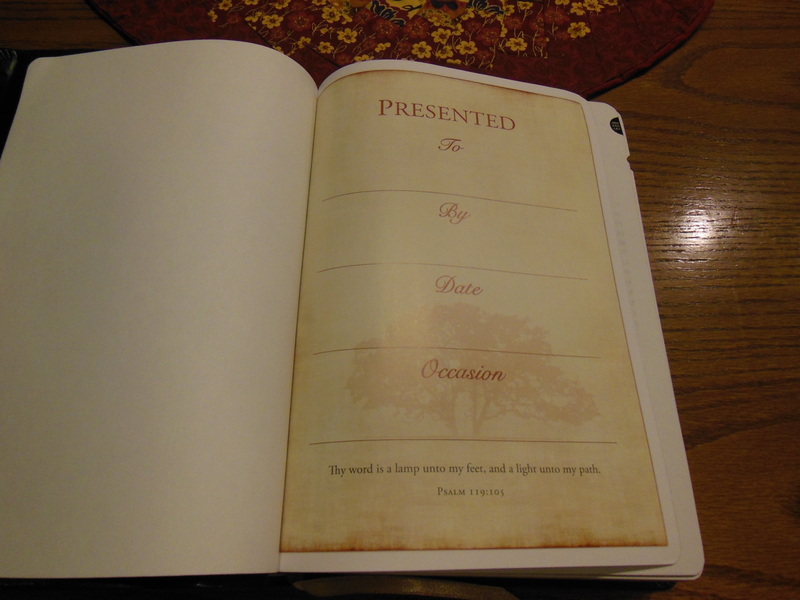 There are book introductions before each book. 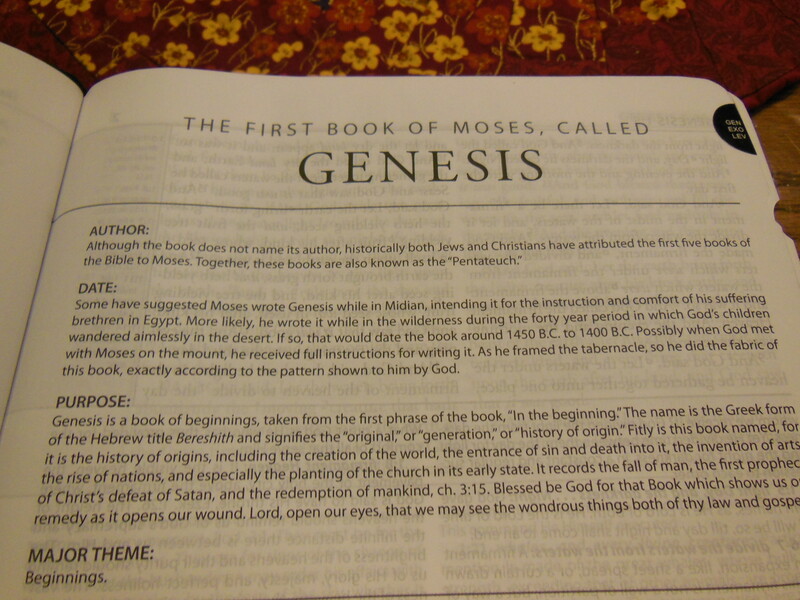 The text is laid out in a double column paragraph format with in-text quotes from the Matthew Henry’s writings. Side column references appear in the inside gutter area. Footnotes are at the bottom of the page. The notes are 8 point Myriad Pro. This does accommodate the 10 point font of the main text. 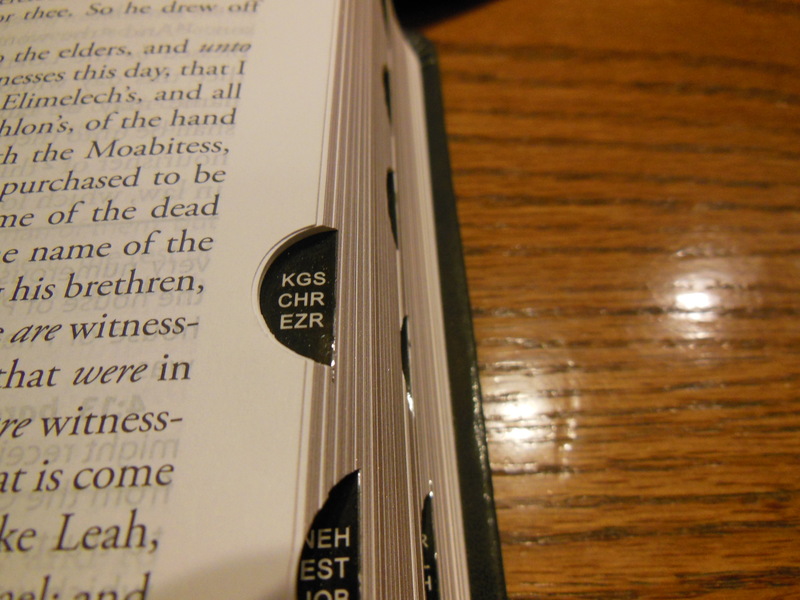 The pages are thumb indexed on this edition. 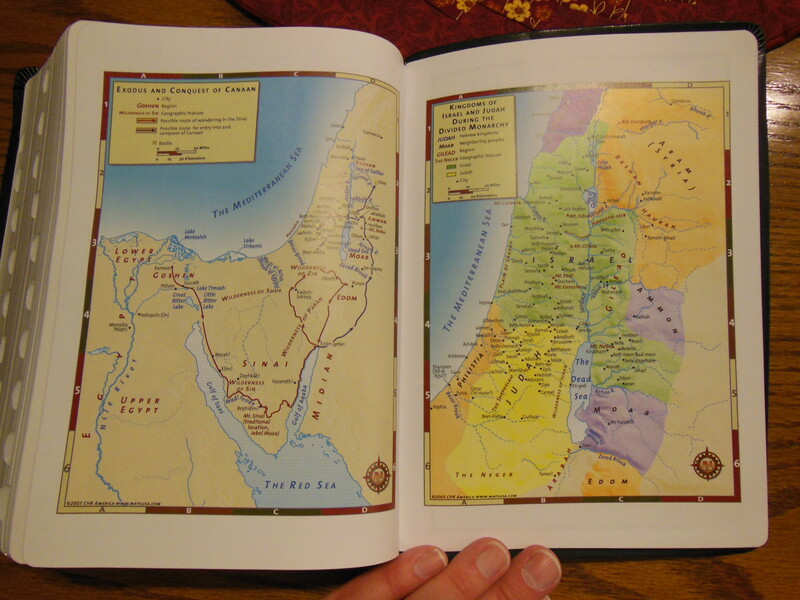 There are eight full color maps and a concordance in the back. 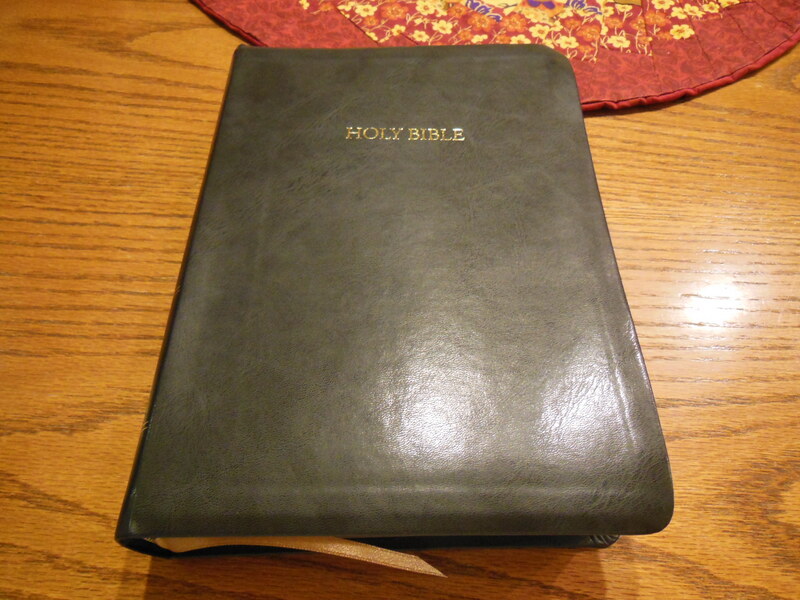 With a Bible this size there has to be some compromise during the design. 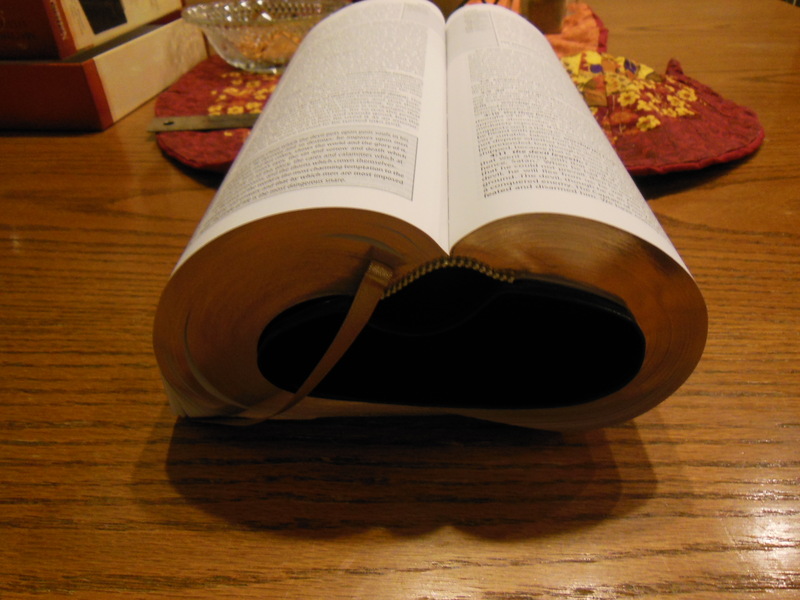 One trade off would be a thinner paper so that the already large Bible doesn’t become gargantuan. Keep that in mind when considering this Bible for purchase. I know it like I don’t like this Bible, but don’t worry. There are good things about this Bible. The binding is sewn and pretty flexible. Even if the cover, paper, and binding, were done in China. The binding is still pretty decent. 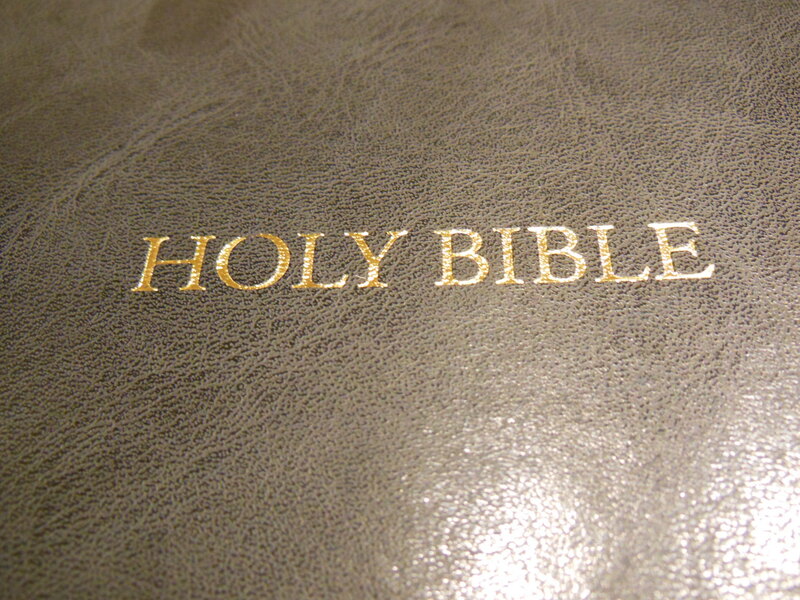 The Bible opens well and is easy to hold despite its size. 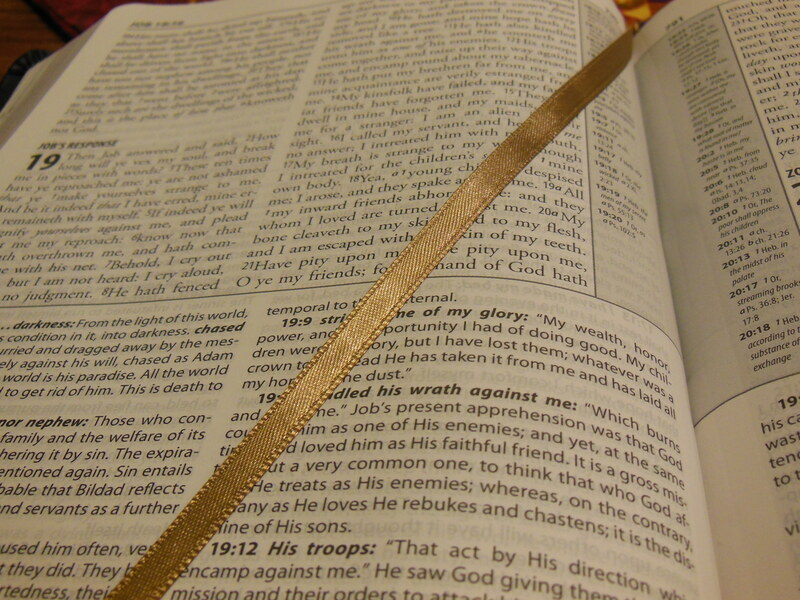 It is very flexible for a large Bible. The cover material does allow for lots of flexibility as well. Perhaps if the cover offered a bit more structure the tear wouldn’t have happened. My thoughts are that the hardcover would hold up better. I haven’t looked at the hardcover though so this is an assumption. A. Kenneth Abraham did a good job of condensing the venerable Matthew Henry’s commentary down to Study Bible notes. 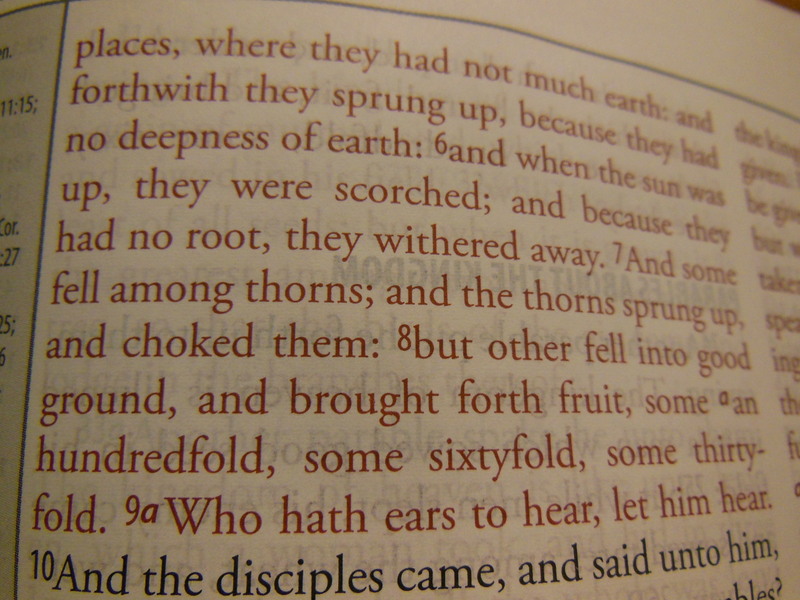 I know that in many reviews people have mentioned that they didn’t think there were enough notes in the Old Testament. In sections of Historical Narrative I don’t know that you’d need study notes. I found the editing to be good. 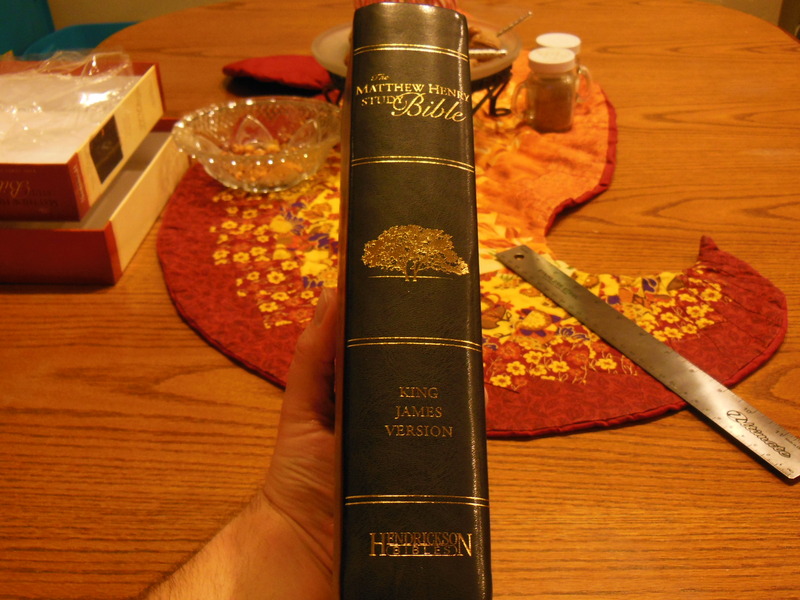 I think the task of cutting down the Matthew Henry’s Commentary would be daunting and was done satisfactorily. Keeping in mind that it would be extremely difficult to get every bit of even the concise commentary in here without making a ten pound Bible. I don’t know how familiar you are with the English Puritan, Matthey Henry. He compiled an exhaustive commentary which he did not finish and a more concise commentary. Henry was a nonconformist. In other words he didn’t conform to the act of uniformity 1662. In England, at that time, the Anglican Church was about the only game in town. If you didn’t play by their rules, you often times didn’t get to. Matthew Henry only lived to 52 and died suddenly. His work of making an exhaustive commentary was finished by his peers. Charles Spurgeon spoke highly of his work. Modern day, Reformed Baptists also like his work. His commentary was exegetical and devotional. It is just as good now as it was then. 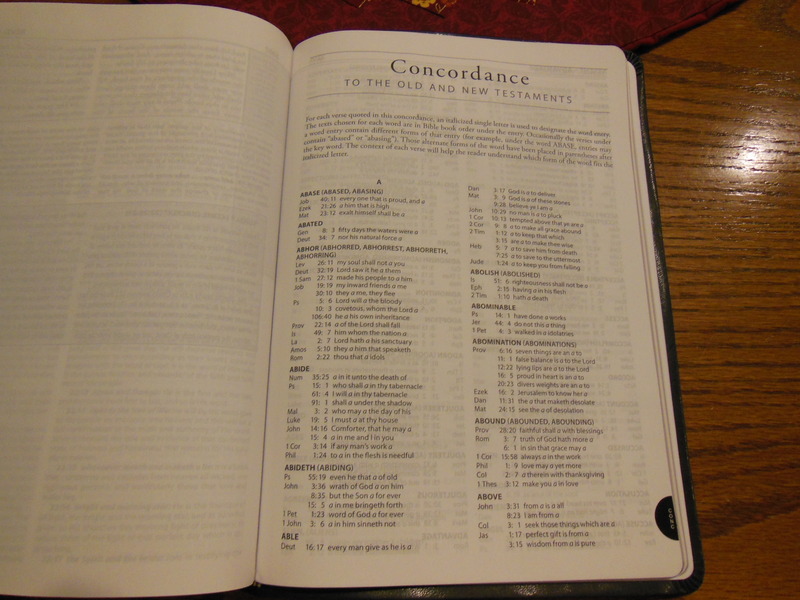 Having it in even more concise fashion as Study Bible notes is nice. 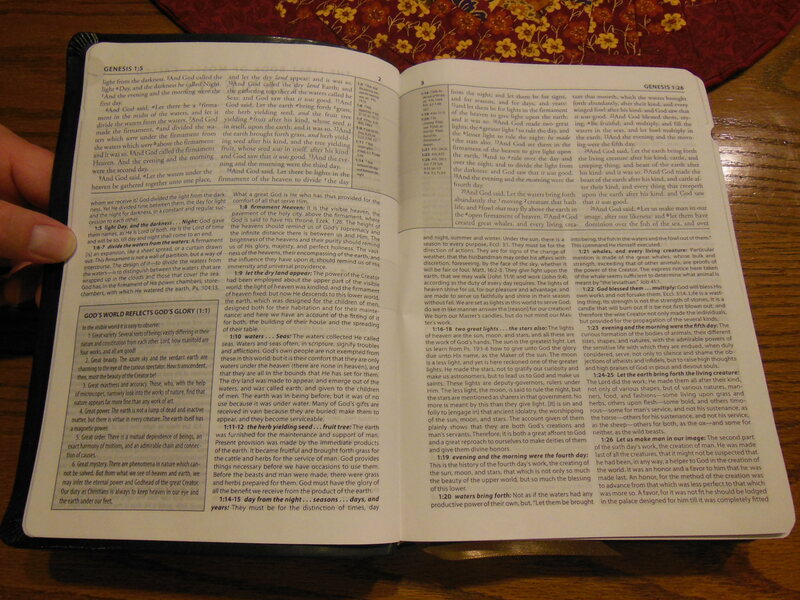 If you’re buying this Bible it is probably because of the notes. If that is the case I think most people would be happy with this Study Bible. I would recommend the hardcover unless Hendrickson comes out with genuine leather or starts making these in the States out of tougher cover material. Update on the MEV Review. my name is ravi sharma I am beliver sir I want Matthew Henry Study Bible Black Janeum Leather Edition King James Verson. I no longer have that Bible. I gave it away to a friend.